Your're only posting updates when there is something new to update us with?!? Makes complete sense to me! Hopefully people will stop asking you for updates! Are you cleaning this lay out as well? 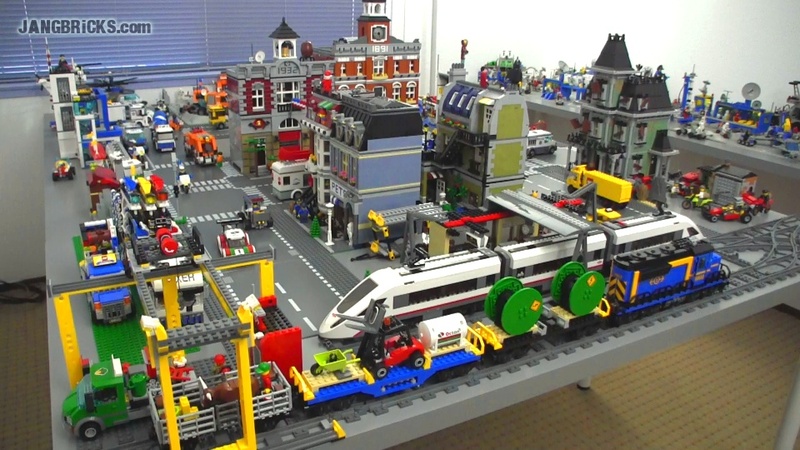 Just like you do with your custom lego city? Jang you should try out some of oyo sportstoys products. I have some and they are good. Hey Jang, I know you're busy, but can we please have another city update. The last one was months ago. ;) It must be very, very, very annoying to hear that every day. Why can't people understand that there are only updates when there are updates. That's very reasonable. Hopefully you only concentrate on your viewers that say "Jang, you're awesome!" cause, guess what? - Jang, you're awesome! My son and I love watching your videos and reviews! Thank you!